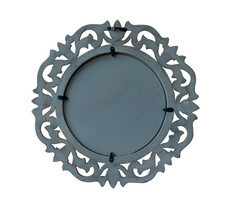 Decorative & Hand Carved Round Wall Mirror in Shabby Gray Finish, Size : 14"x14"
Home » One Stop Shop For Hand Carved & Vintage Products from India !! 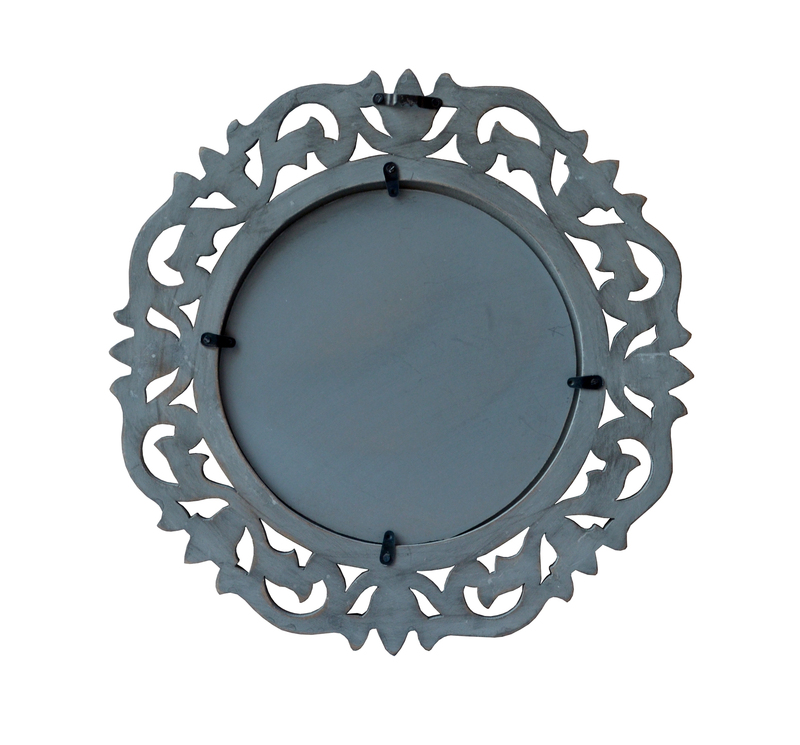 » Decorative & Hand Carved Round Wall Mirror in Shabby Gray Finish, Size : 14"x14"
One Stop Shop For Hand Carved & Vintage Products from India !! 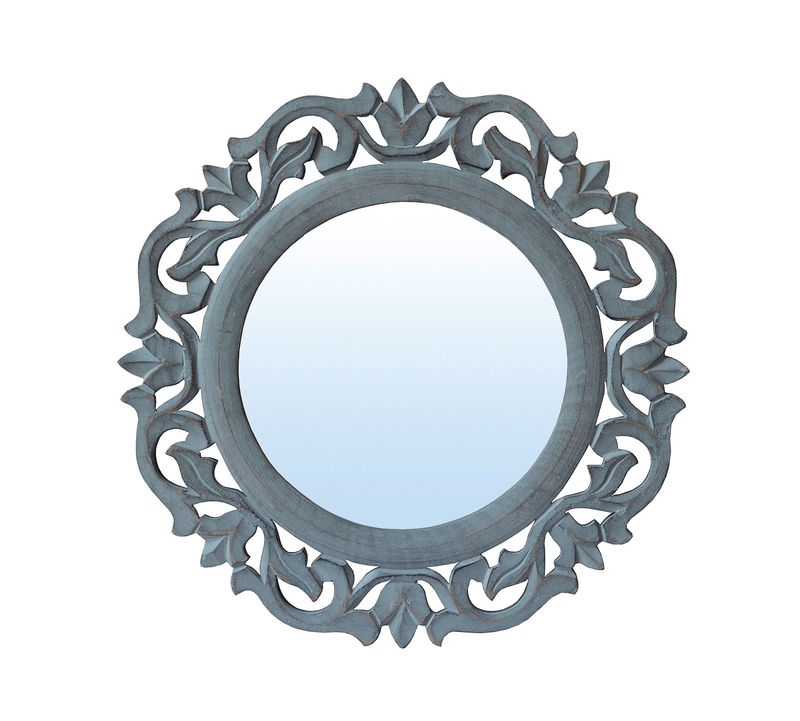 Material : MDF Finish : Shabby Gray Finish Weight : 1 KG Dimensions : Frame ( 14"x14"x1" ) / Mirror ( 9"x9" ) 100% hand carved by our trained and skilled artisans. Constructed from high quality MDF to ensure lasting durability. Reflect your style. Our popular hand carved wall mirror gets an antiqued look, now available in high quality MDF.The mirror is finished to shabby elegance and painted to furnish antiqued looks with floral pattern. 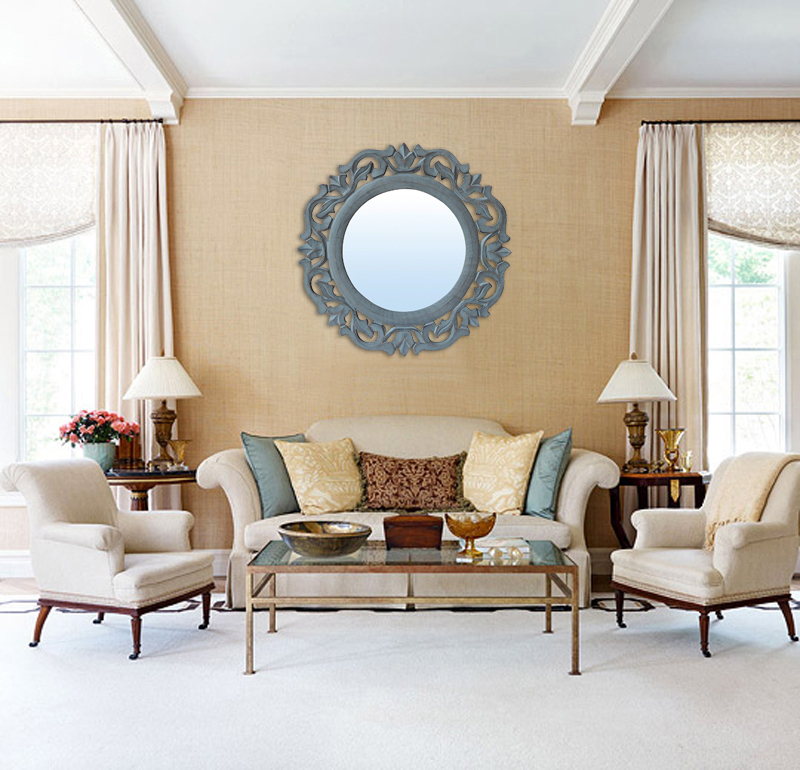 This grateful vintage hand carved frame is accentuated by an antiqued and shabby elegance that uplift your decor. 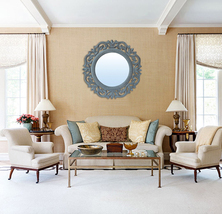 Create an air of sophistication in any room in your home with this charming mirror from The Urban Store. Looks great in a Bedroom, Living Room, Dining Room or Dressing Area.